It looks like there are going to be a whole host of matches throughout the summer and autumn on the River Nene next season after Carl Street produced a very ambitious fixture list. It’s been a long time coming and it will take a while to show anglers around the area and indeed the country that Peterborough & District AA are prepared to run matches on the venue. But I’m sure once the word gets out, there will still be more than enough fishermen that enjoy fishing natural venues to fill the matches up. At times they will clash with other events, but persistence will pay off. Street is also going to be running matches on Ferry Meadows, a proven bream water, and as if that’s not enough he is also heavily into predator fishing. So expect to see pike matches taking place too. 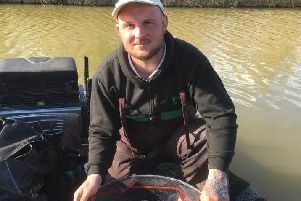 Webb’s AC have been running a series of pairs matches at Float Fish Farm Fishery. In last weekend’s event on the Horseshoe Pool, match organiser George Scally and partner Marcus Webb took won with a combined weight of 27lb 8oz. Not far behind was Harry Murphy and Neil Bourne on 21lb 14oz, then came Alan Forrest and Ken Allum on 15lb 6oz.